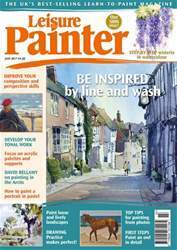 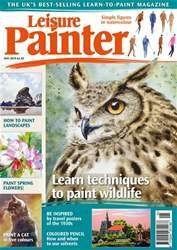 Welcome to the February issue of Leisure Painter. 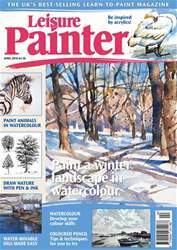 Watercolour highlights this month include David Bellamy on his favourite techniques for successful landscape painting. 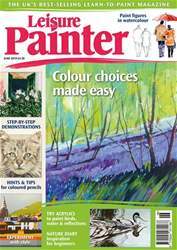 There's also 30-minute three-colour watercolour portraits, an exploration of the practices of Edward Wesson, and step by step demonstrations to follow. Learn acrylic techniques and colour mixing to paint dogs and trees, and follow demonstrations in oils for a stained glass window and stunning flower images. 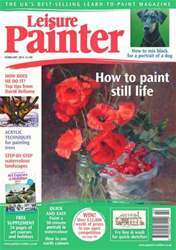 Plus drawing and coloured pencil exercises, still life painting with Pamela Kay, and how to paint Artists' Trading Cards.